Question #25: Briefly discuss First John 1:9-10 in regard to sin in the believer’s life. “If we confess our sins, he is faithful and just to forgive us our sins, and to cleanse us from all unrighteousness” (1 Jn 1:9). Answer: We see in this passage a few observations. (1) Christians sin (v. 10). Positionally, we do become perfect before God because of the imputation of Christ’s perfect righteousness upon us. Practically, however, we do still sin but nonetheless sin lesser and lesser as the days go and as we grow in progressive sanctification. 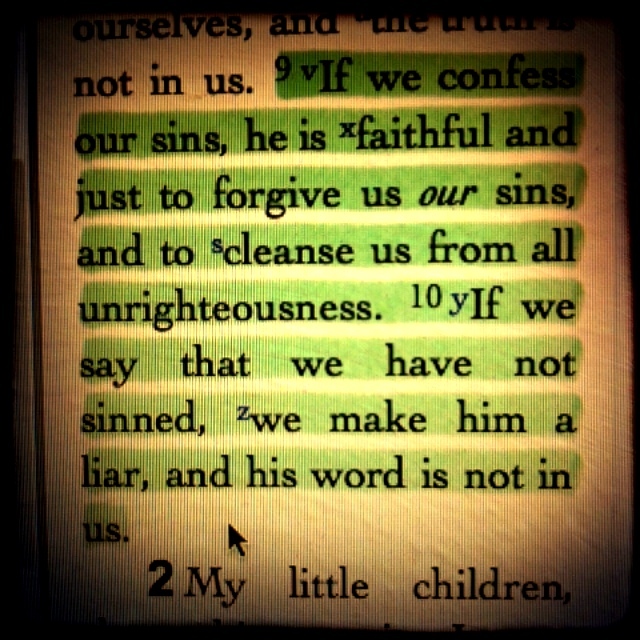 (2) Confession is the remedy for sin (v.9). We need to realize that we have offended the Holy Spirit when we sin. We need to realize we sin against God when we violate His commands. We need to realize we sin against Christ when we don’t heed His promptings. Realization, however, is to be coupled with agreeing with God in heart, mind, and mouth. We agree with God that sin is sin, God hates sin and to love sin is to hate God. Then we also agree not to do it again. (3) God is faithful to forgive us our sins (v.9). If we but fess up to our sins, then God would always forgive us. (4) God is just in His forgiveness of our sins (v.9). This is where justice comes in. Yes, God forgives, but the Christian will still suffer the immediate consequences of his/her sins. For example, when a Christian commits adultery, after she realizes and confesses to God and asks for forgiveness, no doubt God will forgive. The consequences of say perhaps a pregnancy or a transmittal of venereal diseases will not be eradicated or erased.